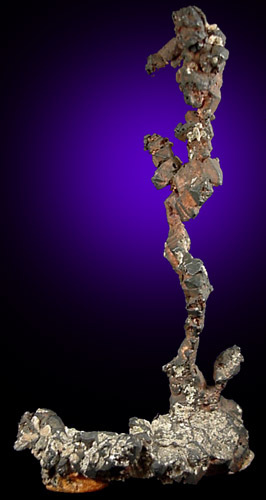 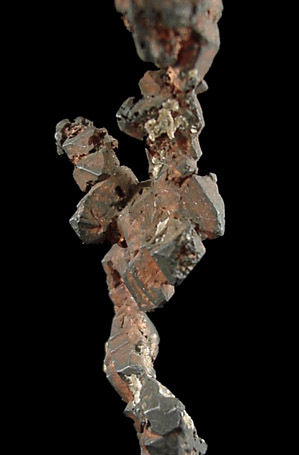 Description: Unique specimen of native copper with a long, slender stem of crystals standing vertically off a base of copper crystals. 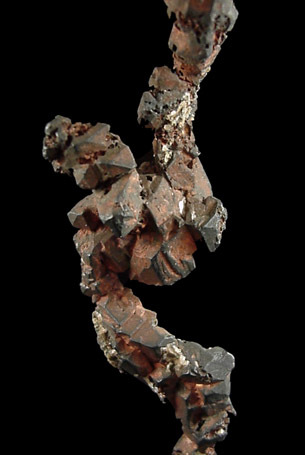 Minor clay has been added to the base to stand the specimen upright without additional support. 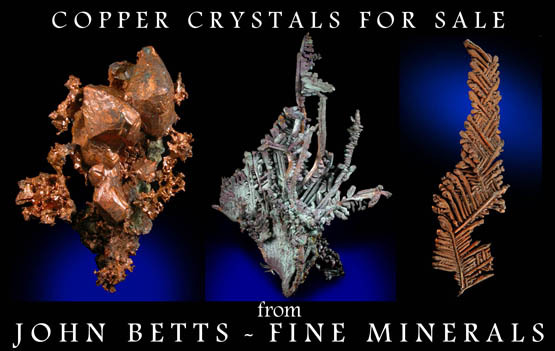 The copper crystals are distinct.